Water Garden Ltd supply cutting-edge OASE aquarium filters, pumps, heaters, aerators and spare parts for Marine and Freshwater tanks. OASE Germany has developed a full range of aquarium technology using decades of experience in fish management and market leading pond technology. The range of aquarium filters include a variety of labour-saving technical advancements to make cleaning a far simpler task than many other leading brands on the marketplace today. The Oase aquarium filter range caters for tanks from 25 Litres up to 600 Litres and all are suitable for either marine or freshwater tanks. The BioPlus internal corner filters feature an innovative magnetic release, eliminating the need to extract the entire filter from the tank for cleaning. The BioMaster external mounted aquarium filters offer a pre-filter segment which can be easily removed, virtually eliminating the need to access and clean the main filter foams and media. 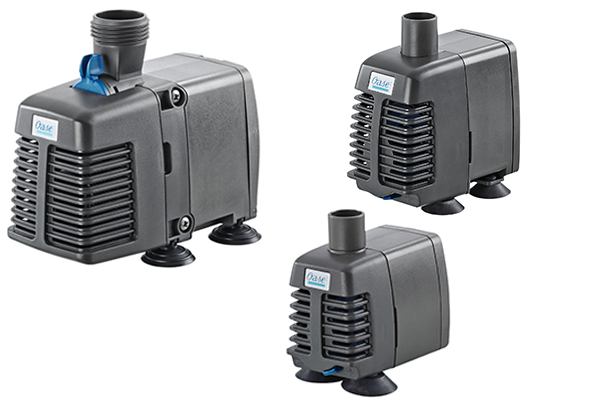 The OASE OptiMax range of aquarium pumps offer reliable performance and adjustable flow control with flow rates ranging from 300 Litres/Minute up to a substantial 5000L/Min for larger aquascaping demands. All of the OptiMax pumps feature an in-built flow regulator to allow adjustment of the output water flow to your exacting requirements. The pump sizes are kept to a compact footprint and are designed for both dry installation and fully submerged use. The bases are fitted with rubberised suction cups to secure and operate at a very low noise level with minimal vibration. 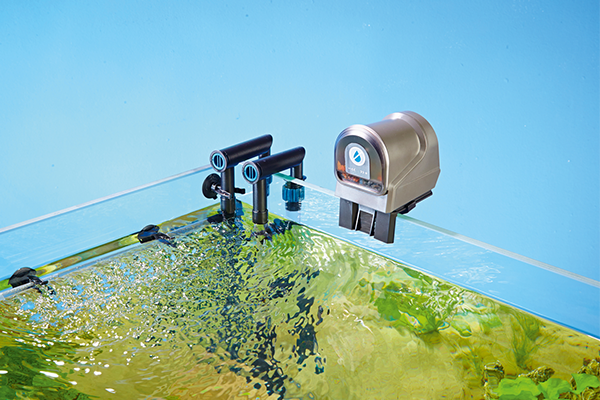 All OptiMax pumps can be used in marine or freshwater aquarium scenarios. The OASE HeatUp range of aquarium heaters are technically advanced with in-built temperature sensor and patented temperature control system to provide precise control of the water temperature in saltwater and freshwater tanks. The HeatUp range stems from 25 watts up to 400 watts output and carry a lengthy 3 year guarantee. These heaters can be used independently or can be retrofitted into the OASE FiltoSmart and BioSmart filter casing. The FiltoSmart Thermo and BioSmart Thermo aquarium filters are already supplied with the Optimised Heat-Up Heater for maximum convenience. 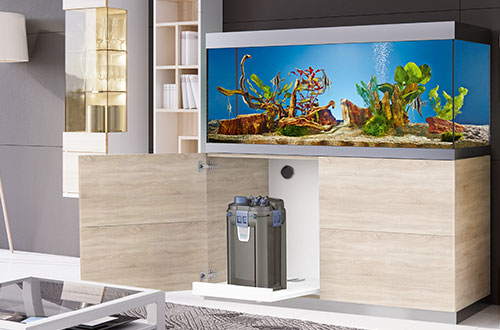 To supplement your filtration system, the OxyMax aquarium Aerators can be used to increase water circulation and oxygenation of your tank, delivering an air supply from 100L/Min up to 400L/Min.